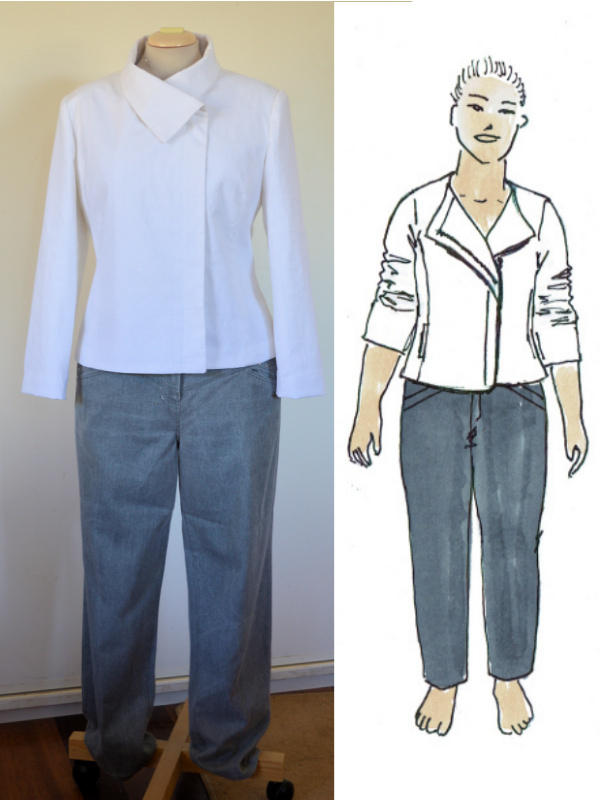 I’ve had Butterick 5958 on my wishlist for ages. Finally got there! 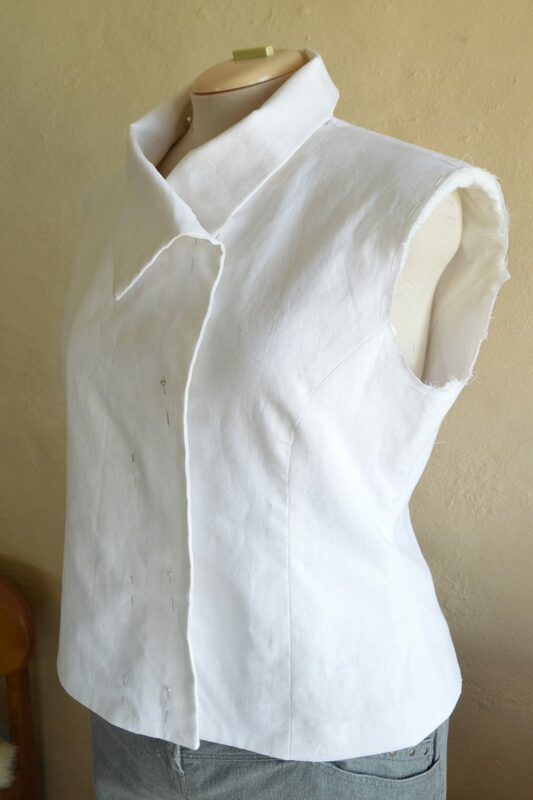 I’d earmarked to make this pattern as part of my SWAP plan using a medium weight white linen. 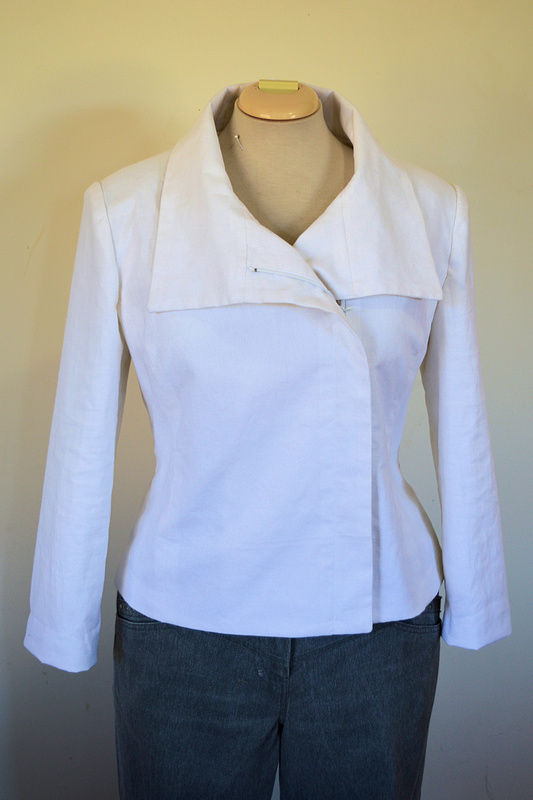 Originally, it was just going to be a simple unlined jacket. But then I decided to line it so the facings would though. 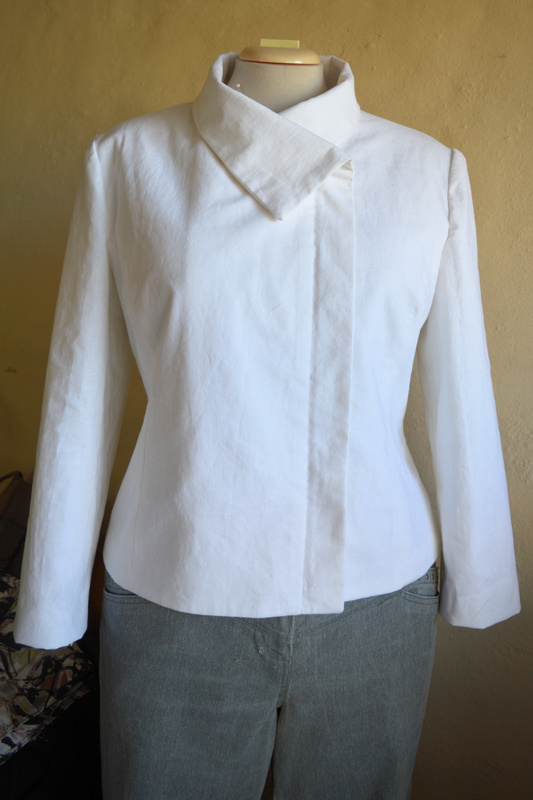 One thing lead to other and the jacket has bias interfacing at the hems, hand-stitched lining, shoulder pads…. It was a lot more work that I intended but all the added tailoring really does make a difference. 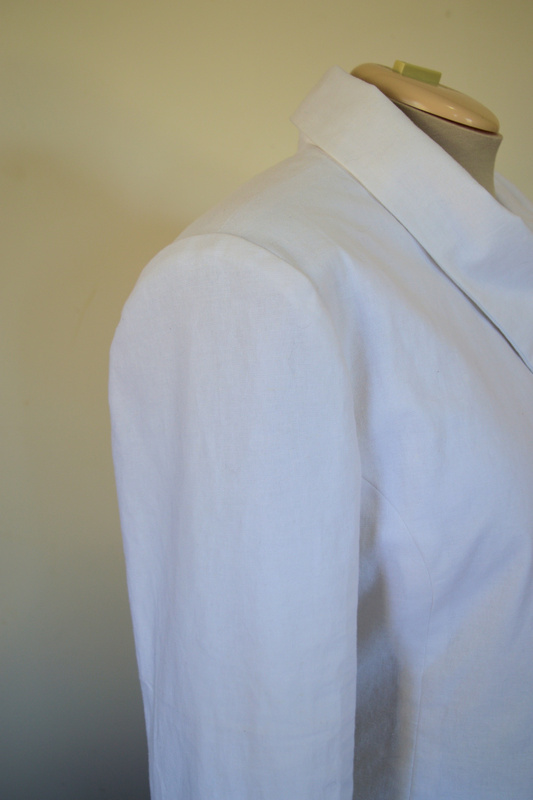 One of the techniques I picked up from a tailoring book I have, was to use a bias strip to ease the sleeve cap in. 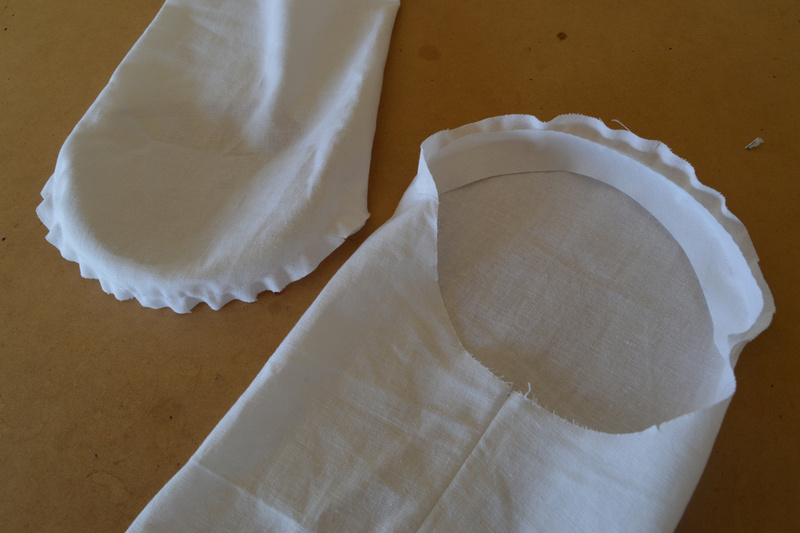 Linen doesn’t ease in that well so I thought I would give this method a try. 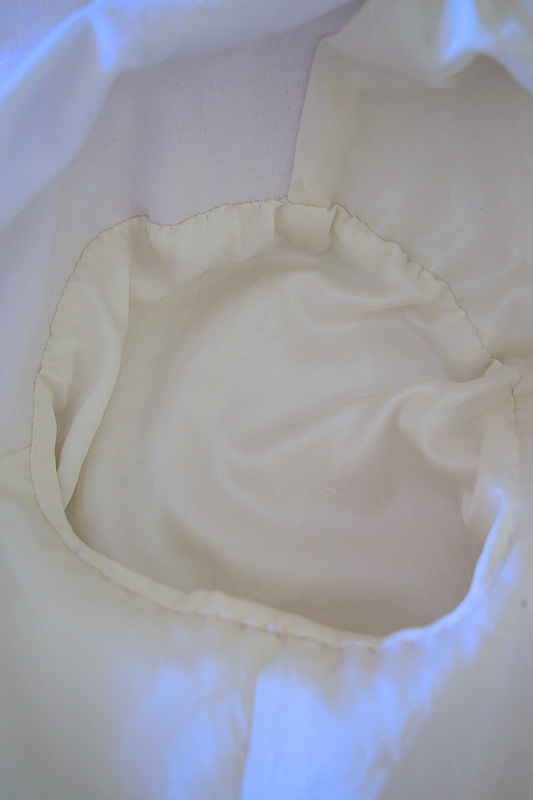 Basically you use a 12″x2″ bias strip and stretch it as you stitch it just inside the seam allowance of the cap. 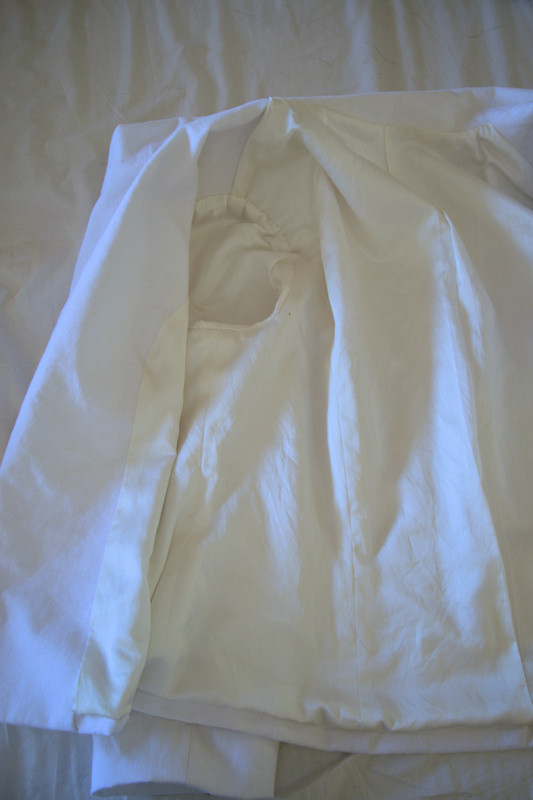 As the strip relaxes, it eases the fabric in. The results were pretty amazing. A couple more progress photos. I’m so happy with how the sleeve hangs on this jacket. I haven’t iron the finished jacket so it looks a little crumpled. I was a bit disappointed with the collar on this pattern. It sits better when the zip is partially undone, like in the pattern photo. I would have liked it a lot shorter so it sits better with the zip is fully closed. Anyway, I’m one step closer to finishing my SWAP. 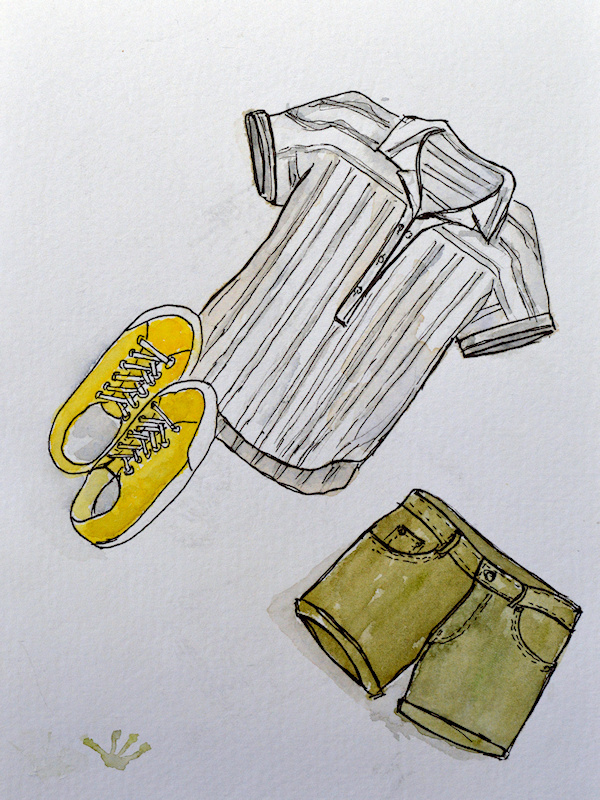 This is the outfit on the far right of the sketch of my plan. The jacket will work with most of my other items. Work continues on the weaving – just 30cm to go! Oh wow that is a beautiful jacket and the extra tailoring is so worth it. I was taught that bias strip for inserting sleeves tip a long time ago and now use it for every woven sleeve insertion, not just for jackets, and it makes the sleeve so much easier to put in.